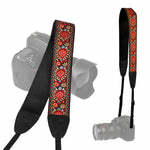 Made of durable cotton and PU, equipped with high quality buckle. 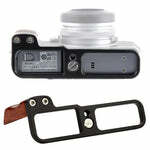 Anti-slip surface helps you to prevent accidental slip of your expensive camera. 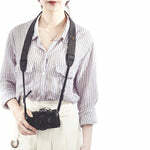 Multicolor pinstripe, vintage and timeless. 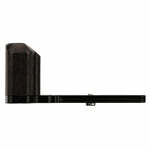 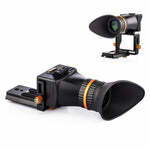 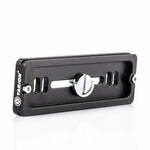 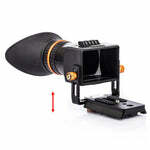 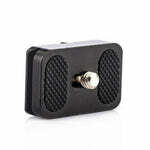 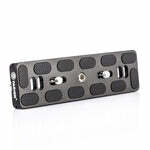 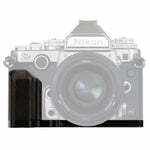 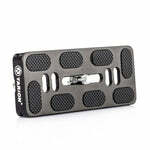 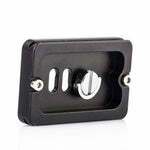 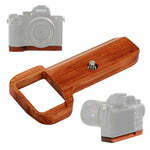 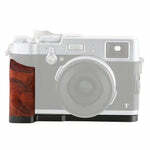 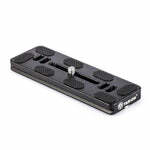 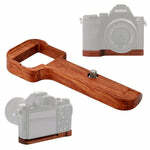 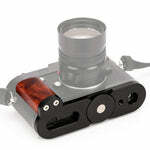 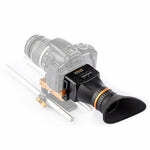 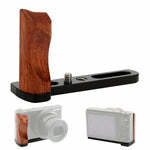 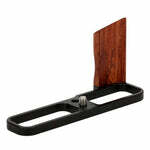 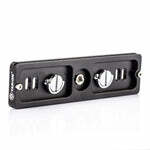 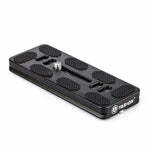 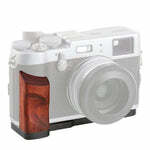 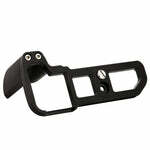 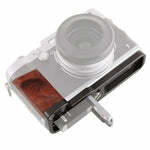 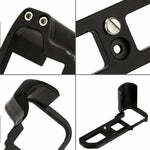 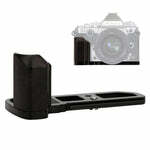 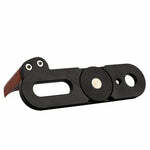 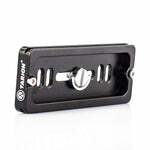 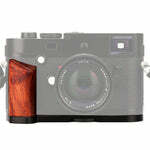 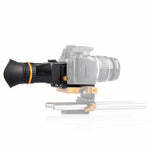 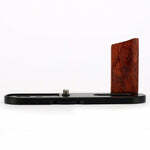 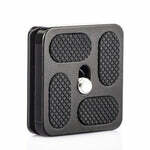 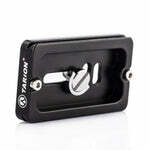 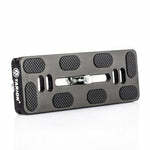 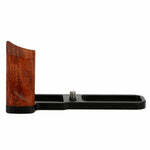 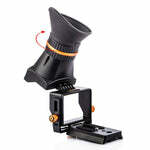 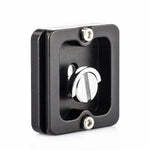 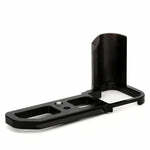 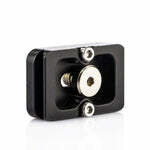 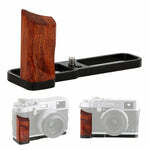 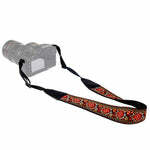 Suitable for SLR, DSLR, Mirrorless digital cameras or some compact cameras, such as Nikon, Canon, Sony, Pentax, etc. 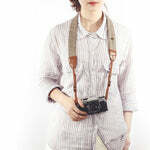 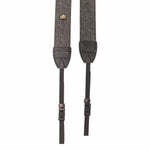 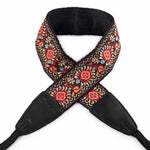 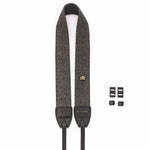 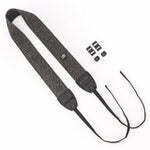 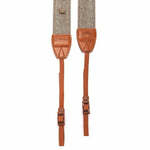 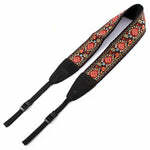 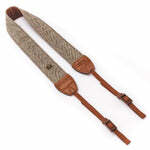 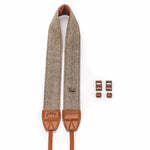 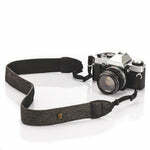 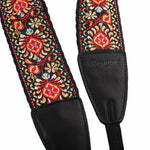 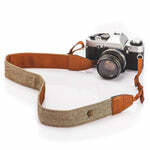 This camera strap is made of high quality cotton strap and PU. 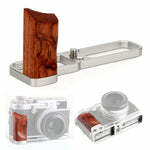 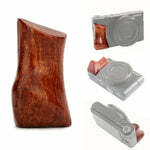 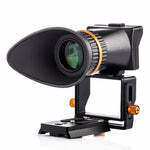 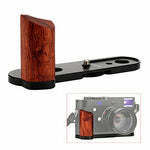 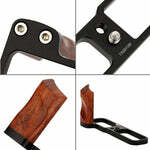 Also, it is designed and shaped to perfectly fit your shoulder or neck, which can even distribute the weight of camera and bring you relax shooting experiences.